"Very happy with Brighter Day Dental! From the office administrator, Laura, to the dental assistant, Adriana, to Dr. Dokko himself, the entire team is incredibly cordial, genuine, and adept at their scope. Easy 5 Stars!Respectfully,Dr. Kelley D. Cadungug"
"Love love love my dentist and his staff. So awesome and wonderful thank you!!" "The service and the environment are outstanding, they made me comfortable each time I visit." "Friendly staff and doctor, they got my daughter in and out to get her tooth pulled and a cleaning." 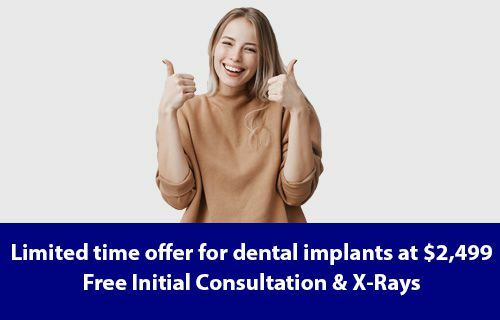 "The doctor and the staff are very professional, friendly, we just moved to Concord and I am glad I found their offices, I highly recommended this place they explain the dental work that you need and answer all the question if you have any,"
"Terrified..that is what I was when I first heard the words extraction and implant...keep in mind I was in my late 20s at the time and one of my front teeth had a failed root canal after 9 years of being in place. Ok long story short..got the tooth extracted (no pain and only slight discomfort aft..."
"I would give this place 10 stars if I could. First when you walk in you meet Laura. Laura always says hello and has a smile on her face. Crystal the dental assistant is so sweet. They all make you so comfortable. Dr. Chul Dokko is super! If you are nervous to go to the dentist or have any worries..."
"My family and I loves coming to this office , we're so happy we found them..I love it it's very private they give us full attention and it's not overcrowded like other dentist offices I've been to"
"This is a long overdue review! I found this practice here on yelp, and I have zero regrets. I had really bad tooth aches a few years ago that I kept putting off. Finally after a month, medicine wouldn't disguise the pain anymore. So I went to my regular dentist and she told me it may be my wisdom..."
"If you are like, well everyone, you hate tooth issues and their costs. We all fight and put these visits off to the last or near last minute. Additionally we all hate having to go from dentist to dentist to find the one specializes in the type of tooth problem we may have. Well if you are in nee..."
"Okay I seriously thought all these reviews were exaggerated by people who are scared of the dentist lol but they're really not! 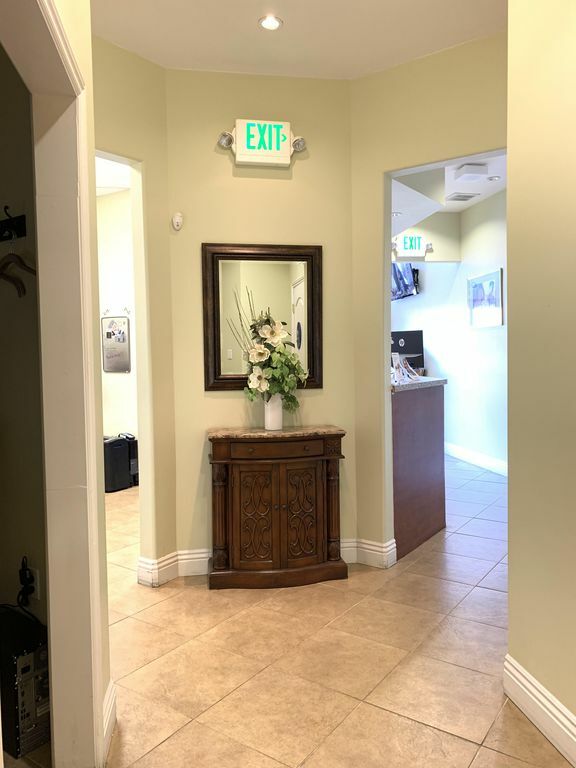 I walked in and was immediately greeted, by first name, by a wonderful and very pleasant receptionist (sorry I'm really bad with names and I'm writing this a few days la..."
"Dr. Dokko is an awesome dentist. I'm very uneasy with most dental offices but Dr. Dokko is quick and painless. He is the best dentist I've ever been to. He does not BS. He is quick and to the point. The staff here is AMAZING! Everyone from the front desk to the hygienists make you feel right at h..."
"Dr. Dokko and his staff are great! Ever since I found their practice last year, I've actually stopped dreading going to the dentist! This really speaks volumes about their service since I absolutely hate going to the dentist due to previous traumatic experiences.The office is always very clean an..."
"They are Genuine and Respectful! I have several emergent situations and they provided care immediately. Costs are reasonable and it's such a Great Treatment Team!!!" "Laura - the receptionist manager is very friendly, informative and has a great smile. I usually get nervous going to the dentist but this one is different from the other ones. I feel more at ease because before they do anything, they let you know first. Dr. Dokko and his assistants are very knowl..."
"The best care, actual care, you'll get. Truly amazing staff and dentist and I left in awe of how I was treated and fixed. They set the standard and I'm so grateful. Thank you guys!" "I was one of those people that neglected my teeth for years. Suddenly, I was in pain and didn't have dental insurance. I called a few places and got the same blah blah blah. I found a brighter day dental on a flyer that came in my mailbox. They were open late two nights a week and Saturdays. 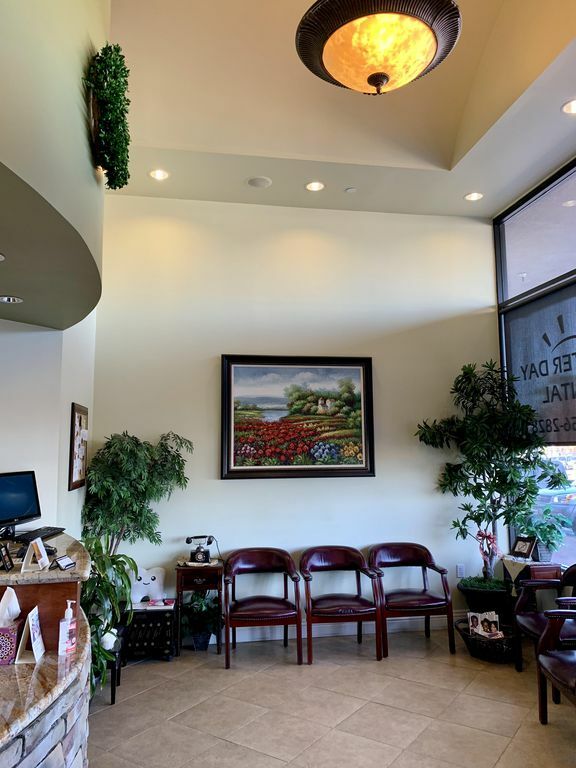 As I..."
"I went here for my wife's root canal/crown work, for my self to do deep cleaning.Laura- the office manager- provided excellent service. She explained everything very clearly and was able to work with my schedule. Courtney-dental Hygienist, did great job on my deep cleaning. She was very friendly,..."
"Three years now I've been going here and I be happier with the service staff and facilities. I always leave feeling like they took their time with me and my teeth... Thank you so much and I'm glad I across you guys :))"
"BEST CLEANING I'VE EVER HAD!!!! I had Megan one of the hygienist there. This girl went to work. She got everything out I feel like a new me. She was so in tune with my level of sensitivity and took every measure to make sure it was a good experience for me. The place is state of the art, clean, a..."
"Dr. Dokko is a superb dentist! He listens, is gentle and works with you. The office staff is always nice and super efficient. I love that they have extended office hours too!!" "This is my 3rd visit and still impressed!!! Greeted by name upon arrival ! Texted a reminder emailed a reminder and given a phone call the week of!!! I supper appreciate all the little things! Beyond that no outlandish discoveries in my mouth.. Lol just nice friendly routine maintenance. The secr..."
"Great office and incredibly kind, knowledgable staff." "I just got a tooth pulled here.. and I must say it wasn't that bad... it was quick and painless"
"These guys are good. As someone who has had a lot of work, I can honestly say they care about me as a person and my teeth"
"I hate the dentist, but if you have to go, this is the place you want to visit! Everyone from the front desk to the hygienist are super friendly and caring. 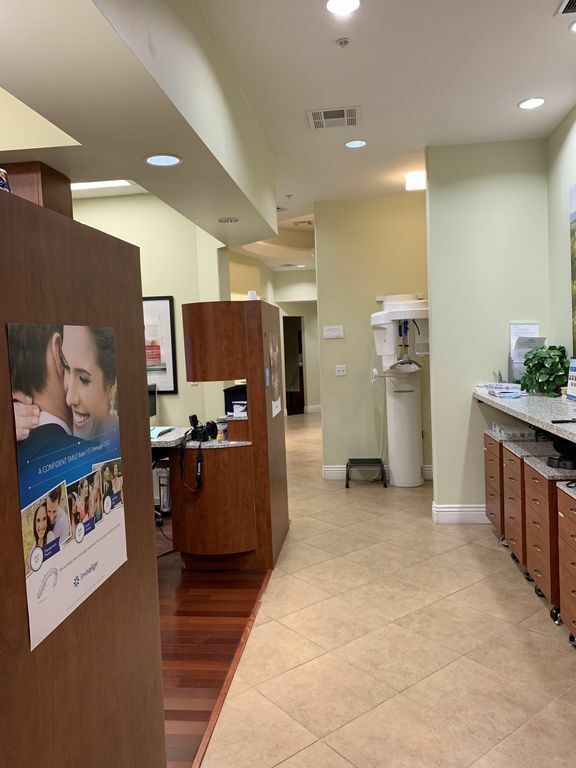 The facility is modern with the ability to watch tv when getting your cleanings and it really makes a not so fun experience into a manageabl..."
"My dentist for over 20 years had retired and I no longer wanted to continue making an hour commute into San Francisco. Thanks to Yelp I found a great dentist closer to home. All of the staff at Brighter Day Dental from the receptionist to the hygienist are very welcoming, friendly and knowledgeab..."
"I realized I never updated as promised after my deep cleaning last year The experience wasn't painless, but it wasn't as bad as this process usually is. The shots hurt, won't lie about that but the staff are very understanding and as gentle as can be. Dr. Dokko did the numbing cleaning himself..."
"The best dental experience I've had thus far. From the from front desk lady to his assistant I must say were very nice and professional . Also the facility is very up to date and clean. Dr.Dokko himself was great ! I had a tooth extraction and like he said all I would feel is pressure . Which he ..."
"Hands down the best dentistry I've ever been to in my entire life!Dr. Dokko and his staff are always friendly, professional, and absolutely know what they're doing. The environment is very comfortable and modern. Very advanced equipment is used inside. I've been a regular customer since 2009.Let ..."
"There is a reason why Brighter Day Dental is #1 the staff is awesome and friendly. Dr. Dokko is gentle and fast at what he does. In the past I had very bad experiences with the dentist. and this place made me feel so comfortable. Thank you so much! I'm very happy to have found a great dentist!" "My husband was having awful pain and we just moved into the city with no where to go that we trusted we came here.we are very happy we did he was great and very professional." "I'm very impressed with this dental office. Professional & friendly staff, painless procedures, great location, Modern equipment, clean. I couldn't ask for more from a dental office!" "Love this office! The staff is so friendly, reassuring and just plain NICE! Dr. Dokko is great too. Glad we found them. My daughter even looks forward to coming in for routine cleaning or even for any dental work that's needed. Their hours of operation are a bonus.... But I would still come if it..."
"Dr Dokko is the most amazing dentist ever! I just recently moved to the area & after reviewing on Yelp I decided to go to Brighter Day Dental. My first experience was great. The staff is super friendly & very informative. My favorite is Laura who has all my dental records on point. She is very pr..."
"Best dental practice ever! In my entire adulthood, I have yet to come across a practice that is not only professional, friendly and highly experienced but very sincere staff. 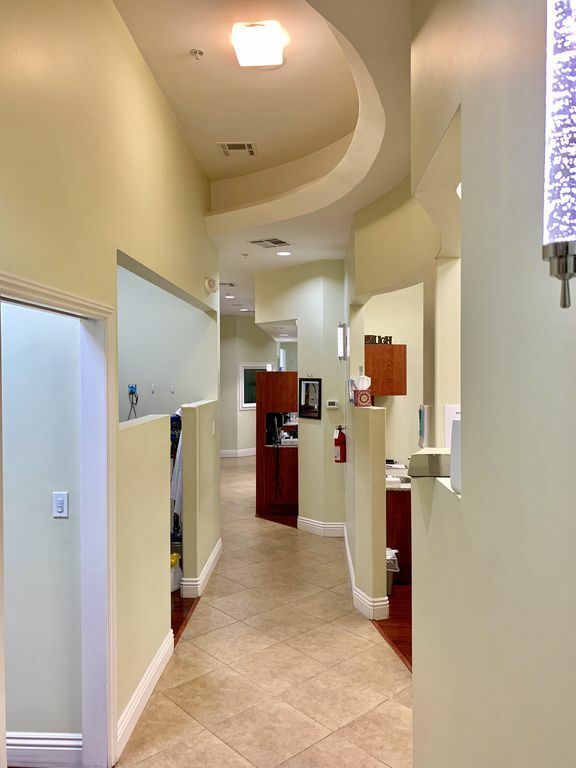 The front office has a great ambience, and the staff are all so attentive and by far the best in all aspects of their serv..."
"Dr Dokko and staff is the best dentistry team I've come across. Laura at the front is immensely helpful. Courtney the hygienist is awesome and Dr. Dokko is very quick and professional. the equipment is much more up to date compared to other Dentists I've been to. Not only is this team great for m..."
"I had a family dentist for over 20 years and when he retired i was heartbroken. So, when I was referred to Dr. Dooko's practice by a family member, I was a bit apprehensive. Dr. Dooko's office and his ENTIRE staff are top notch! They are friendly, efficient, and extremely professional. It is ..."
"Dr. Dokko was awesome.! While giving me a few fillings, he straightened my front tooth so it wouldn't look so pointy. I love my experience each time I come here...esp when I try to avoid going to the dentist. You won't be disappointed." "Just had my first visit to see Dr. Dokko and I highly recommend him. The staff are all very nice and the office is equipped with the latest technology. The cleaning was fast, probably because I do try to make it to the dentist every 6 months for a cleaning and I floss nightly. He did notice an..."
"I've been coming to see Dr Dokko for nearly 5 years now and will continue to do so as long as I live in the Bay Area. His office is modern and his staff always friendly and welcoming. They have incredibly accommodating hours during the week and are open some days in the evening. Healthcare profes..."
"Finally got insurance so I booked an appointment for me and my fiancé. It had been years since either one of us had been. The staff is really nice and personable! They all make you feel comfortable from the start. They took X-rays and let me watch TV during the cleaning. dr. Dokko is very nice as..."
"The best dentist experience I have ever had!I just got a full-time job and finally received my dental benefits. Brighter Day is near my house and after receiving a flyer postcard in the mail, I decided to give it a try. I called and made an appointment. The receptionist was extremely nice and kno..."
"It's me again. What can I say Brighter Day is the best. The staff is wonderful from the front desk to Dr D. I am a huge baby I even cried. I felt so bad yet they are always kind and comforting. I will return and recommend to anyone. I love that they even remember the little things. Like reminding..."
"I was having some issues with the level of services that I was receiving from my previous dentist that made me scared to go see dentist for the last couple years. I received a post card from Dr. Dokko's office just in time I was having so much pain with the bridge was done incorrectly by my previ..."
"Dr. Dokko and his staff, particularly his assistant Jessica, are outstanding. The good doctor is a consummate professional who takes the time to listen to his patients. He doesn't rush through procedures and he frequently asks how you are doing, how you are feeling and if you have any discomfort ..."
"I give Dr. Dokko five stars! My first appointment with Dr. Dokko for a cavity filling did not hurt at all. The appointment itself was relaxing. I was able to watch television. I was shown the cavity on a screen as a photograph. I really enjoyed speaking with the front desk person, Laura. Sh..."
"I can't give them more than five stars, otherwise, I would. The Dr. the staff, were all great. The office is paperless, which is great, and the equipment is state of the art, which meant quick x-rays-Even before I sat in the cleaning chair, my x-rays were on the screen in front of me. I really l..."
"This place is AWESOme! This people trully care about patient's oral health. Super friendly staff, proffesional manners, high tech equiPment." "I guess there was a misunderstanding with the dentist and I but he was nice enough to reach out to me and clear things up. The office is great and the lady at the front desk was nice and organized. My only complaint was $25 for copies of my X-ray when transferring but I guess that's a standard ..."